Wells Fargo Propel American Express® Card: Should You Apply? A good credit card for restaurant purchases and any spending at gas stations. The Wells Fargo Propel American Express® Card is worth applying for if you spend a lot of money on dining out, at gas stations or on travel. We consider this card to be one of the best no annual fee cards available due to the high number of categories where you can earn more than 1x point for every dollar you spend (See Rates & Fees). Wells Fargo sweetens the pot by offering a welcome bonus that currently has a $300 cash redemption value. 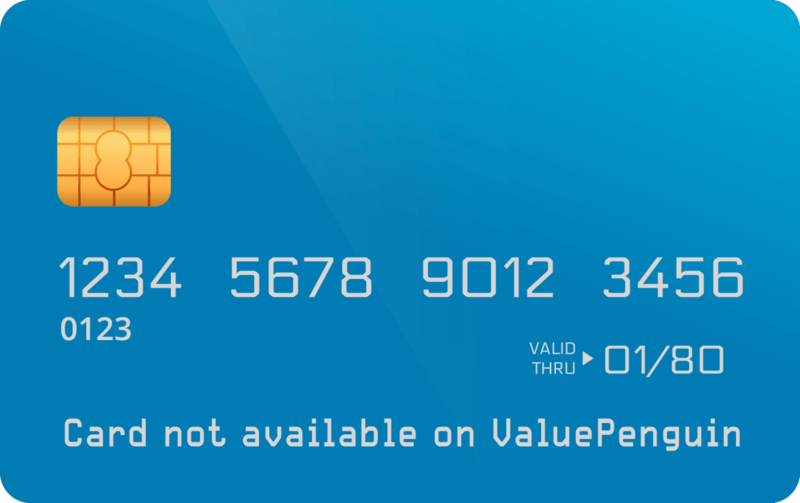 There aren't many no annual fee cards available that can stack up to the rewards offered by this card. The Wells Fargo Propel American Express® Card is one of the bank's better credit cards. It provides excellent rewards on gas station and restaurant spending (a 3% rewards rate on both). Very few cards with no annual fee can give you higher returns on either of those two categories. What makes this card even better is the fact that it also earns you a 3% rewards rate on travel purchases, including flights and hotels. Overall, the biggest advantage that this card has over its competitors is that it offers a 3% rewards rate for such a broad variety of purchases. For instance, if you're filling up your tank at a gas station, you'll earn a 3% rewards rate. If you're buying airline tickets for a vacation, you'll also earn a 3% rewards rate. What makes the card even better is that the 3x point categories include car rentals. Many other no annual fee travel cards limit 'travel' to only be inclusive of hotel and flight purchases. The card's bonus of 30,000 points also isn't that difficult to achieve. Assuming you spend just $1,000 per month on the card for three months, you'll hit the minimum spending requirement. Bottom Line: The Wells Fargo Propel American Express® Card is one of the best no annual fee credit cards available. If you'd like to read about how the card stacks up against other cards, we recommend you read our comparison section below. The Wells Fargo Propel American Express® Card gives users 3x points for eating out, ordering in, gas station purchases, rideshares, transit, travel purchases and on eligible streaming services. All other purchases earn just 1x point per dollar spent. Generally, one of these points is worth $0.01. Wells Fargo reward points can be redeemed on a number of different things, including merchandise, gift cards, and charitable donations. You'll want to make sure your redemption is netting you a value of at least $0.01 per point to ensure you're making the most of your points. For rates and fees of the Wells Fargo Propel American Express® Card, please click here. How Does The Wells Fargo Propel American Express® Card Compare To Other Credit Cards? We took a look at how the Wells Fargo Propel American Express® Card compared to some other options. Doing so gives better insight into a card’s total value, and can help you identify which credit card will be best suited for you. The Wells Fargo Propel 365 American Express® Card is a premium version of the Wells Fargo Propel American Express® Card. It comes with a $45 annual fee that’s waived during the first year. Because it’s more expensive, it also comes loaded with extra features that may make it worthwhile for some. The Blue Cash Preferred® Card from American Express is another great everyday cash back card. However, instead of giving you rewards on restaurant dining, this card provides 6% cash back at U.S. supermarkets up to $6,000 per year in purchases (then 1%). Unlike the Wells Fargo Propel American Express® Card, the Blue Cash Preferred® Card from American Express comes with a $95 annual fee (See Rates & Fees). It makes sense to pay the fee as long as you spend at least $1,600 annually at U.S. supermarkets. Before applying, bear in mind that the Blue Cash Preferred® Card from American Express is subpar when it comes to restaurant purchases. It gives users just 1% cash back in this category, compared to the 3% rewards rate of the Wells Fargo Propel American Express® Card. The Costco Anywhere Visa® Card by Citi will give you better returns on gas spending. The Costco card provides users with 4% cash back at gas stations (up to $7,000 in purchases per year), and 3% on restaurant spending. Additionally, you’ll also get 3% back on eligible travel purchases. The better card between the two will depend on your specific spending habits. The catch is that you need to be a Costco member to get the card –- the cost of which is $60 per year. The tool below allows you to quickly compare different credit card offers. Input your estimated monthly spending and the calculator will display the estimated rewards value per card.